Practice writing for authentic audiences and purposes as you get an overview of content across multiple modes and genres. From words to images to movement, Writer/Designer provides you with essential tools to make meaningful rhetorical choices in new modes and media through your writing. Learn by doing with lots of opportunities for practice in the overall process of composing multimodally. Chapter 1 What Are Multimodal Projects? Why Should Multimodal Composing Matter to You? Chapter 2 How Does Rhetoric Work in Multimodal Projects? 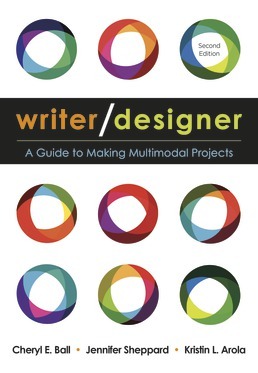 Chapter 3 Why Is Genre Important in Multimodal Projects? What if the Genre Is Unclear? Chapter 4 How Do You Start a Multimodal Project? What Are You Supposed to Produce? Chapter 5 How Do You Design and Revise with Multiple Audiences? Where Are Your Project Files Located? How Long Are You Responsible for the Project? 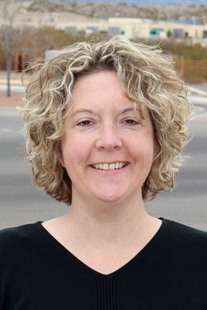 Jennifer Sheppard is a faculty member in the Rhetoric and Writing Studies Department at San Diego State University, where she serves as the Associate Director of Lower Division Writing. She regularly teaches courses in visual communication, digital and popular culture rhetorics, and professional communication. Her research and publication projects have focused on the intersection of theory and practice in digital writing, new media composing, professional communication, and pedagogy for face-to-face and online instruction. 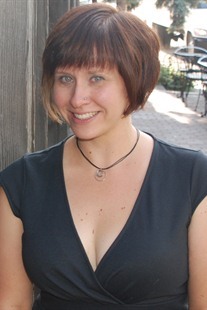 Her work has appeared in the Journal of Literacy and Technology, Hybrid Pedagogy, Computers and Composition, and several edited collections, including Designing Texts: Teaching Visual Communication and RAW: Reading and Writing New Media. She lives in San Diego, CA, with her partner, Kathryn, and their son, Eli. Cheryl E Ball is an Associate Professor of Digital Publishing Studies in the English Department at West Virginia University. Her areas of specialization include multimodal composition and editing practices, digital media scholarship, and digital publishing. Since 2006, Ball has been editor of the online, peer-reviewed, open-access journal Kairos: Rhetoric, Technology, and Pedagogy, which exclusively publishes digital media scholarship and is read in 180 countries. 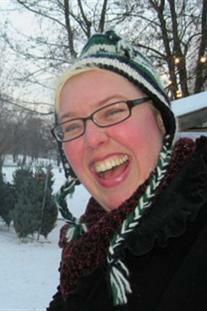 She has published articles in a range of rhetoric/composition, technical communication, and media studies journals including Computers and Composition, C&C Online, Fibreculture, Convergence, Programmatic Perspectives, and Technical Communication Quarterly. Her recent books include a scholarly multimedia collection The New Work of Composing (co-edited with Debra Journet and Ryan Trauman, C&C Digital Press) and the print-based RAW: Reading and Writing New Media (co-edited with Jim Kalmbach, Hampton Press).